Moving to a New State? Use the Proud Moving and Storage provider for the Chicago Bears! Save Money on Your Move. 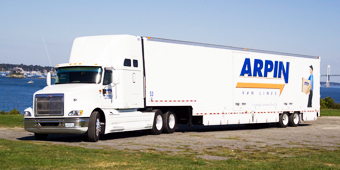 Delivering Moving Service Excellence in the Greater Chicagoland Area and beyond for over 90 years. When moving your personal possessions locally or across the country, you need a Chicago moving company that you can trust to deliver flawless service, attention to detail, and the personalized care that will ensure your household goods arrive safely and without stress. That Chicago moving company is Wm. Meyers Movers, your hometown Arpin Van Lines Agent. Meyers Movers serves the entire Chicagoland area, Northshore, and specializes in the Northwestern suburbs, including Elmhurst, Hinsdale, Lombard, Western Springs, Oak Brook, Burr Ridge and beyond, with highly rated moving and storage services. From expert move planning, experienced staff, crews and drivers, to timely delivery in well maintained equipment — you can rely on Meyers, your Chicago moving company for a stress-free and affordable move. WM Meyers Movers can meet all your moving needs.